The Great Coat And Tie Experiment: Conservative! Today's conglomeration is simple, to say the least. When I start out with a white dress shirt, the result is more often than not going to be simple. Not really a whole lot to say about this one. 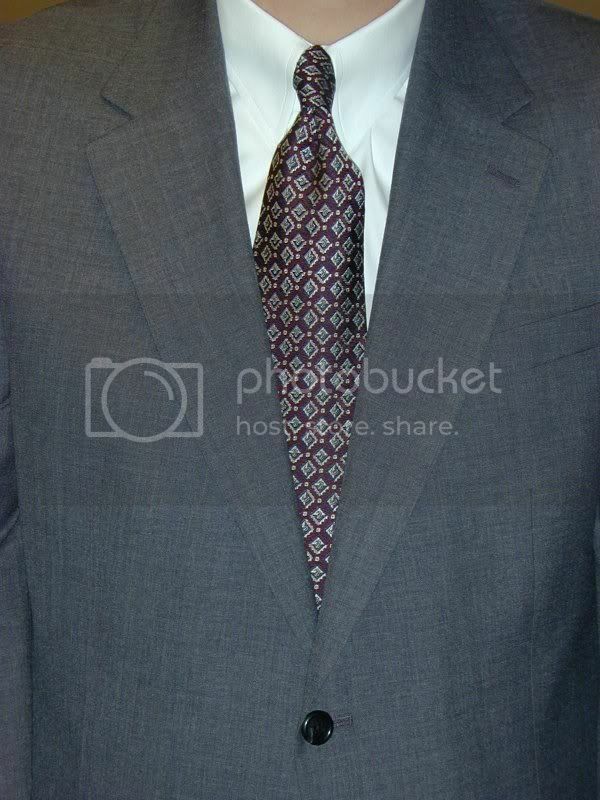 The necktie is another of my favorite Ferrell Reed City of London line. Burgundy, black and gray in a geometric. This particular tie doesn't make a very big knot so I usually wear it with a tab collar, like today. It does make a little bit too big a knot for a tab though. Yet another conundrum -- to tab or not to tab. I had my choice between the gray and the black sport coat. I chose the gray today.